This tutorial will demonstrate adding selected and special days to the calendar at design time, then iterating and displaying those dates at runtime. 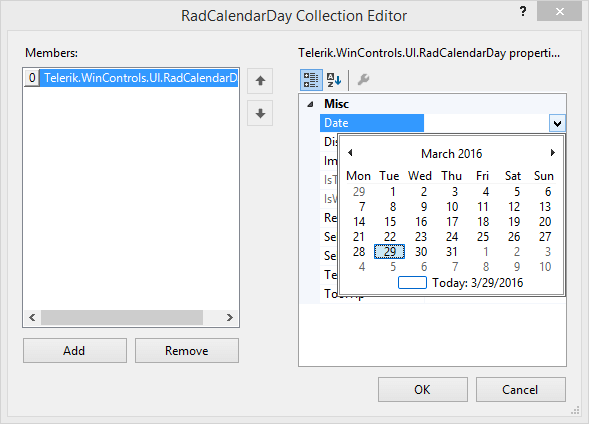 In a new Windows Application form drop a RadCalendar control. Set the AllowMultipleSelect property to true. Drop a RadListControl and RadButton to the form. In the Properties window click the ellipses for the SelectedDates property of the RadCalendar. Click the Add button to append a new selected date to the collection. In the Value property for the date select "Today" from the drop-down calendar. Add two more selected dates and set their Value properties to the two days following "Today". In the Properties window click the ellipses for the SpecialDays property of the RadCalendar. 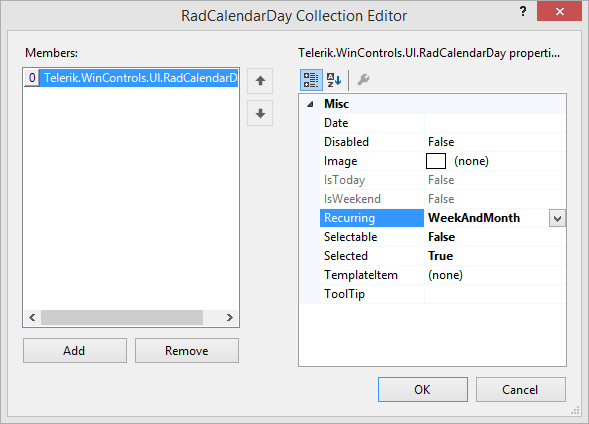 Click the Add button to append a new RadCalendarDay to the collection. Set the Date property for the special day to the last day of the month. 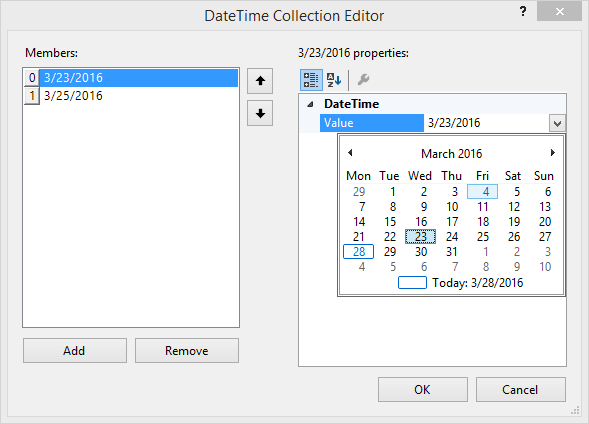 Set the Disabled property to true and the Recurring property to DayInMonth. Double-Click the RadButton in the designer and add the following code to the Click event handler. This code will iterate and list results for the SelectedDates and SpecialDays collections. Run the application. Notice the three selected and the highlighted special day. Use the navigation buttons at the top of the calendar ">" to move to another month. Because you set the special day Recurring property to DayInMonth, the special day is highlighted in every month.